Ok, so I have had something on my mind for a while and I really want to share it with you all. I want to talk to you about body positivity and self confidences, especially confidence in your body. So let's start this with me being real with you all. I am NOT confident with my body. I will be talking about things that I can not yet believe or think about my self yet. I am still struggling with how I see my own body. I do not love it how I should, I do not care for it how I should and I do not fight for it as much as I should. But I really want to talk too you all about this subjects and I will explain why in a bit. But for now I did just want to be real with you all. I am talking to about things that I am still fighting. I am writing this post for you guys, who read it, and for myself. I get a lot out of blogging and I often find myself supporting and coming to terms better with things if I write about it. So now that that bit is over I will explain why I am going to be talking about this. On my journey of recovery from my eating disorder I have been slipping a to lately. I am finding things particularly hard. Yes, I am eating more and doing things that I should be doing but I am slipping in how I think about myself. A friend of mine also has an eating disorder. She is in a very bad place, (she is one of the people I said that I wanted to help but couldn't in one of my earlier post called Helpless?) She is the talk of my friendship group. It was trough her I discovered what pro Anna was. What I of course researched (please don't, it really did do more damage to me than good.) But from reading this and feeling my heart break from reading this stuff I started noticing more things about body positivity and the lack of it. For a while I have felt a fight in me, not a fight for my own battles but a fire and passion to fight a far bigger battle. I have discovered I have a real passion for helping people who suffer from mental health issues and all that stuff. And I've discovered that my biggest passion is for seeing people who have eating disorders freed from them through God. I'm not going to go into it too much at the moment, I have a post that I wrote a while ago called preparation where I talk about this. I have not posted this yet as I am still toying over how helpful it will be for other people. But moving on. So on Sunday night I was on a low. I had over exercised on Friday and was in a lot of pain during the day. This then lead me to looking up YouTube videos on hacks on how to lose weight. After looking at videos for a while I still wasn't feeling any better. If anything I felt worse. But I carried on watching them. Finally I stumbled across a video that was a health expert person reactions to a popular you tubers video of losing weight hacks. The video was not designed to me malicious or to shame the YouTuber but only to inform people of what they were looking at and watching to was not always correct. The original video was basically encouraging people to count calories and starve themselves. For some reason hearing this snapped me out of my low. It opened my eyes. So I clicked out of the video and typed in "How to lose weight" into YouTube. I looked at the results with a new pair of eyes, it was here I realised that most people were promoting starvation and counting calories and in general a bad relationship with food. They were telling people that they needed to lose weight and be this perfect body shape in order to be beautiful. I do not know why this affected me so much, but seeing this hurt. So I then went onto Pinterest and other sites and the same thing. There were far more posts about losing weight than there is post promoting people to love themselves for who they are. It was at this point that I decided that there was not enough to things telling people that they were enough and that being themselves was a good thing. They wasn't enough posts or influential people telling younger people that they were beautiful being them and that they were beautiful in their own skin. And this is what I want to talk to you about. 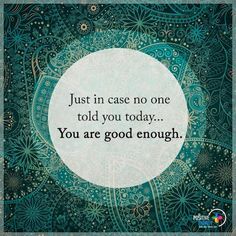 I want to tell you that YOU ARE ENOUGH and YOU ARE BEAUTIFUL. I really want to encourage you all that it's ok if you have stretch marks, scars, lots of body hair. I want to tell you that no matter what your size you are beautiful. I really want to tell people that exercise shouldn't just be about losing weight. You should be exercising because I want a healthier life. You don't need to look like models because chances are they models themselves don't look like that. And you know what, even models have their own insecurities. My old dance partner has been doing a lot of work in media and theater. She's in a music video of some sort and she looks stunning in it. But I remember sitting in the changing rooms with her during a comp and her telling me how she hated her body. In my finally year of secondary school I had such low self esteem and was self harming lots. One day once we had gotten out school photos I made an off comment that I was really struggling with things. My friend turned round to be and said "Who cares? You're pretty". So even people who are considered 'pretty' or look like they are perfectly comfortable in their own skin, still have insecurity. I wish I could say more to you all. I wish I knew how to tell you that you are enough and you are beautiful as you. You don't need to wear makeup (although it is really nice to get dolled up every now and then, and if you wear make up because you love make up and not because you don't like how you look without it then by all means carry on) I really want to tell you all that you don't need to wear the in trend fashions to be beautiful you don't need expensive makeup or perfect eye brows, you don't need a flat stomach. You don't need these things to be beautiful. You need to be you, and by being you, you are beautiful. So this is a subject that I'm going to be posting about a lot more. I don't know how to encourage you to believe that you are beautiful as you are but I will sure they and find a way. 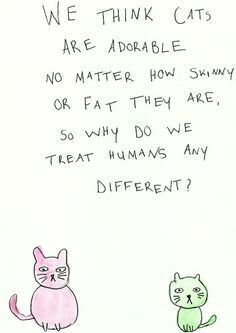 So yeah, I'm going to leave this post here but please remember that You are beautiful as you and in being you.